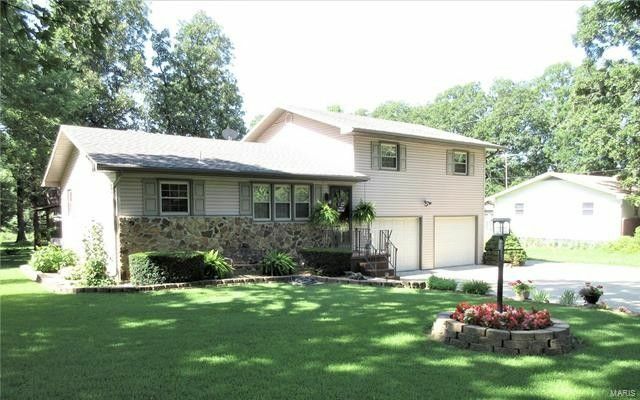 Beautiful 1 1/2-story well maintained 3-bedroom, 2-bath home on a peaceful .70 acre tree-shaded lot! Amenities include a nicely updated kitchen with newer appliances and lots of pretty Oak cabinets, a formal dining room, a walk-in shower in main bath, newer shingles and a wonderful large sun-room w/screened-in porch to relax in! Gentlemen LISTEN-UP, there is also a 30x40 awesome workshop, with 110 & 220 electric, double doors (front & back), concrete floor and wood heat. 12-Month Home Warranty included in purchase. Directions: S Jefferson, left on Hwy 32 East, left on Pinetree, left on Gulfwind. Next to the end on the left. Sign!